This last week has been a bit of a blur….I’ve been in an altered state due to a raging fever which is the result of a visit to my local doctor. I walked into the rooms on Friday feeling well …all I needed was a referral to another professional……when he found out that I was a new grandmother, said I needed to have a Whooping Cough vaccination. I queried this as I had a bout of this as a child & thought that it would give me immunity. Apparently not so…but that depends on the doctor you are talking to. Returning to the office, the receptionist commented on how pale I looked. Putting it down to a busy week, I shrugged it off…. Saturday saw a rash spreading down my right arm …a bit hot & I put it down to the Tetanus component…..
Sunday night or the early hours of Monday morning were a different matter. I woke coughing , unable to catch my breath until I finally threw up a heap of phlegm. With a workshop scheduled for Monday afternoon , I desperately hoped that this would pass over. I called the surgery to say that I was unwell since the vaccination & they scheduled me in with a different doctor. I was sent for chest X-rays in case it was pneumonia, but heard nothing until Wednesday evening when the practice nurse called to check up in me. As the results of the X-ray showed clear lungs & because I was still unwell, it was decided that this should be reported as an adverse effect of a vaccine & I am to be contacted in the next day or so by the local hospital. 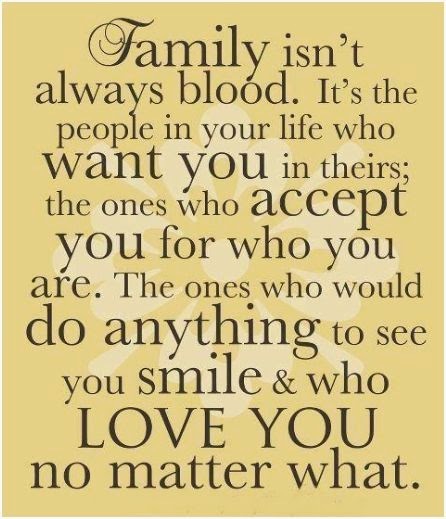 Some people have no problem eliminating their “blood” family from their lives, but at what cost long term? Often family members will perceive a slight or may not be privy to the whole story and so an inter-generational rift begins. It may have started over a family event, such as a wedding where a child of separated parents expects more financial support than one parent can offer, or a forgotten present for a grandchild or even neglecting to invite partners of cousins to milestone celebrations. The list could go on and as a therapist I have heard many stories about families. Most of the time it comes back to the perception of the event and no two people will be able to recollect an event the same way. As the story grows stronger through the telling and re-telling over the years, resentment, anger and other negative emotions form many layers like a brittle veneer over the original event. Layer upon layer, passed down like a family heirloom, the toxic effects sending tendrils into all sorts of places – other relationships…….until the negativity spreads to cousins, friends of family and causes discomfort whenever the participants meet. Looking back, is it possible to take the “righteous goggles” off or even take some time to think about what might have been going on in that other person’s life? As a hypnotherapist, I know that it is possible and in a session many years down the track, there may be a time when the client is able to have a conversation that resolves how they feel about the original issue. Sure, the other person may not be there, they may be long gone or dust, but the energy changes and on a different level there is some resolution. For many people the ones you call your own may not all be “blood”, but it’s your choices that ensure, for the most time, they are loyal, honest, loving people. Surrounding yourself with like minded people is healthy, but it is also healthy to understand that for true growth, you are able to accept opinions other than your own, accept well meant criticism, accept observations and be able to forgive when someone is a little more opinionated than you prefer. There is a popular saying “you can’t choose your family but you can choose your friends”. Again, from a Hypnotherapist’s viewpoint. and one trained in Past Life Regression – this is not so. If you are familiar with the philosophy, the child’s soul will have chosen to incarnate into this family to learn lessons from the dynamics of this current lifetime in order to mature on a soul level. There is always a choice, conscious or subconscious, as to who gets to stay as your family.